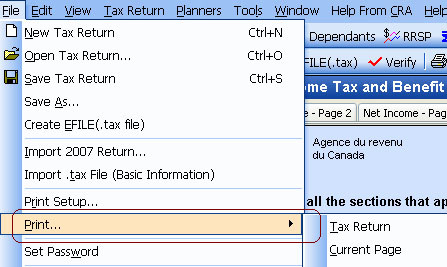 Choose a meaningful name for your tax return file name, for example, Mary_Smith and type it into the "file name" area, then you can click the Save button to save it. Remember where you saved your tax return. For the above example, the file "Mary_Smith.f09" will be saved to the folder D:\Tax Files\. While you are working on your tax return data, it’s a good idea to save the tax return periodically by clicking on the save button every so often to prevent accidental data loss, for example, in case of a power failure or system crash. Click here to learn how to save your tax return as PDF file in FutureTax.